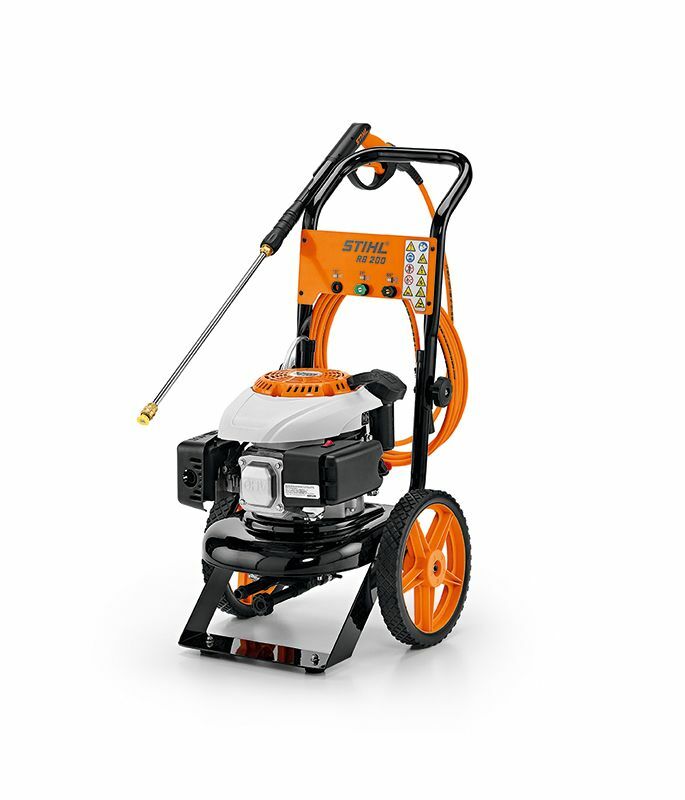 The STIHL RB400 Dirt Boss Pressure Washer is a premium pressure washer that combines excellent performance with durable build quality for long-lasting value. When you need to demolish dirt on a daily basis, theDIRT BOSS® handles the pressure with ease. Stainless Steel High Pressure & Brass Detergent Nozzles - This pressure washer includes stainless steel nozzles for use with high-pressure water and a brass nozzle for use with detergent. These premium nozzles are designed to resist corrosion and wear. Easy Start Pump System - features a pressure relief valve, allowing users to start the unit without any back pressure from the pump. It enables quick, easy starting with no hard cord pulls. 2-Piece Lance & Gun Assembly - comes with an easy, convenient 2-piece lance and gun assembly. The lance design is also extended for better accuracy in tall applications. 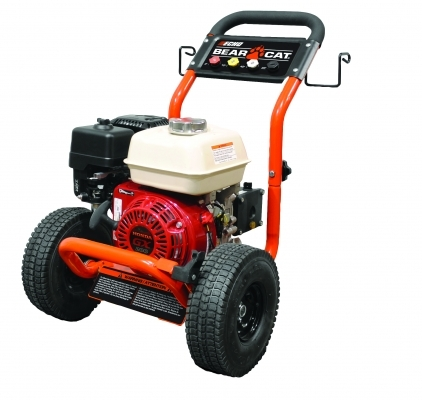 Automatic Fuel Shut-Off Valve - This pressure washer features a combined on/off and fuel valve control. This allows the user to shut unit off and close fuel valve automatically for easy, no-mess transport. 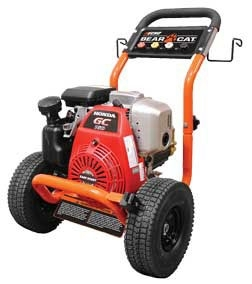 Anti-Vibration System - This pressure washer features a STIHL-engineered 4-point vibration isolation system. 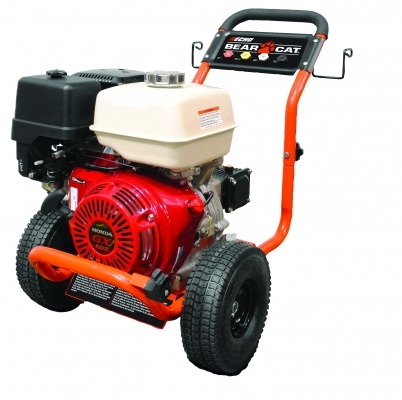 This reduces pump vibration during use for increased unit longevity. 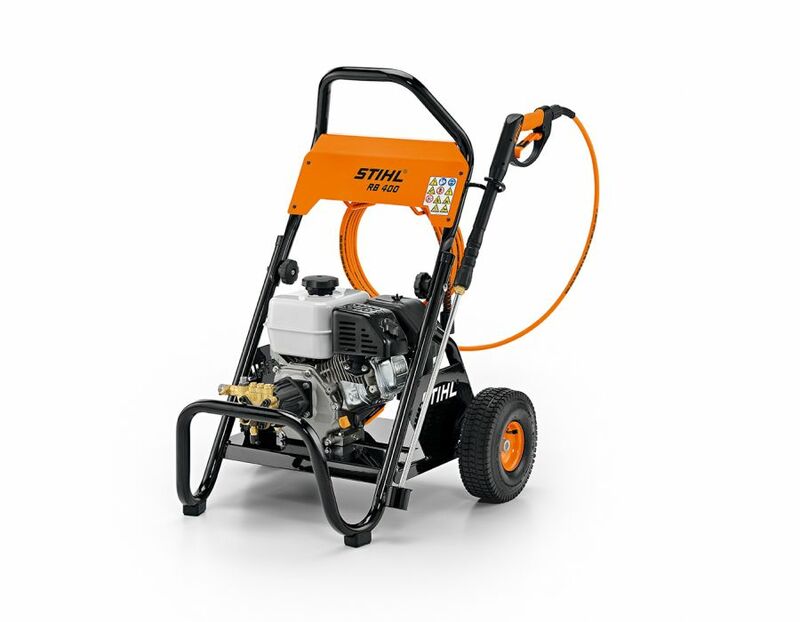 The STIHL RB 400 Gas Powered Pressure Washer is available at Kooy Brothers Equipment Ltd. located at 1919 Wilson Avenue in Toronto, Ontario.